The New Who Loves Children’s Book Series Is A Must-Read! Have you ever wished you had a children’s book series that reflects your unique family? Wish no more! The “Who Loves” Series children’s books by Jami Kaeb from The Forgotten Initiative are just what every foster and adoptive family needs to have in their personal library. The “Who Loves Series” tells the first person story of a child in foster care. All children will relate to these books as they tell a positive story of a child who is loved by many people. The “Who Loves Series” consists of three books. Who Loves Baby? is written for children ages 0-3. Who Loves Me? is for children ages 3-7 and I am Loved is perfect for children age 7-10. Children In Foster Care Are Dearly Loved! There is such a big need today for valuable and encouraging resources speaking the truth that children in foster care are dearly loved! Mike and Kristin are so excited to welcome their good friend, Jamie Kaeb to this 82nd episode of The Honestly Adoption Podcast. Jami is the director of The Forgotten Initiative and The Forgotten Podcast. She and her husband have an interracial family with seven children by birth and adoption, both international and from foster-care. Believing that “awareness leads to action,” Jami and the Forgotten Initiative have just written a new book series to encourage children within the foster system to know that they are dearly loved and cared for. She hopes these books will bring awareness into churches and schools so that even more people can be equipped to help provide love and care for vulnerable adults and children. How To Overcome Trials On The Foster Care Journey. Jamie Finn is the creator and writer behind the wildly popular foster parenting blog, Foster The Family. She is also a speaker and advocate for foster parents and vulnerable children worldwide. You can learn more about her awesome outreach by visiting her blog here or connecting with over Facebook here. Question: Have you felt overwhelmed on the foster parenting journey? Share your story with us in the comment section below. You can leave a comment by clicking here. This is a post by our brand new Community Manager, Michelle McKinney. 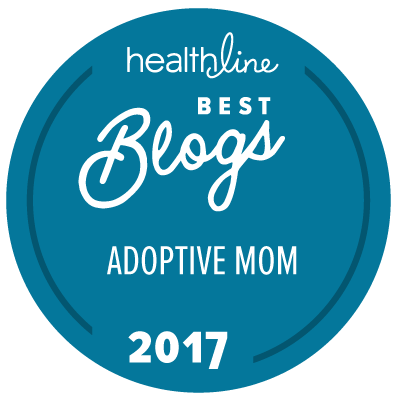 She’s an extraordinary blogger and adoption advocate, and we are excited to have her on our team. You will see her show up often in the comment section of blog posts as well as on our Facebook Page. Michelle is also a member of our Oasis Care Team. You don’t change the world by staying quiet, being nice, or playing by the rules. Just ask adoptive moms. The passion, energy, and voice they have can, and will, change the world for vulnerable children. How Can The Church Support Foster And Adoptive Families? It’s a big question we receive often, from church leaders and families in the trenches: how can the church better support foster and adoptive families? Unfortunately, over the past 15 years we’ve been on this journey, we’ve seen a few churches get this extremely right, but many get it extremely wrong. Personally, our family has walked through a few situations where the church was no support at all. But, we believe in the church and the impact it can have in this world, and for foster and adoptive families. How The Foster Care Movement Is Changing The Game For At-Risk Kids. In spite of a world that vastly misunderstands foster care, or it’s profound impact on the lives of vulnerable children, the movement is changing lives and reshaping the future landscape of humanity. Jason Weber is one person who is leading this charge. He is the national director of foster care initiatives for CAFO (Christian Alliance For Orphans), and a recently published children’s book author. His recent book, Farmer Herman and the Flooding Barn is a fantastic true story of the impact many people can make when they come together and work for the common good. On today’s episode, Jason and I discuss this.